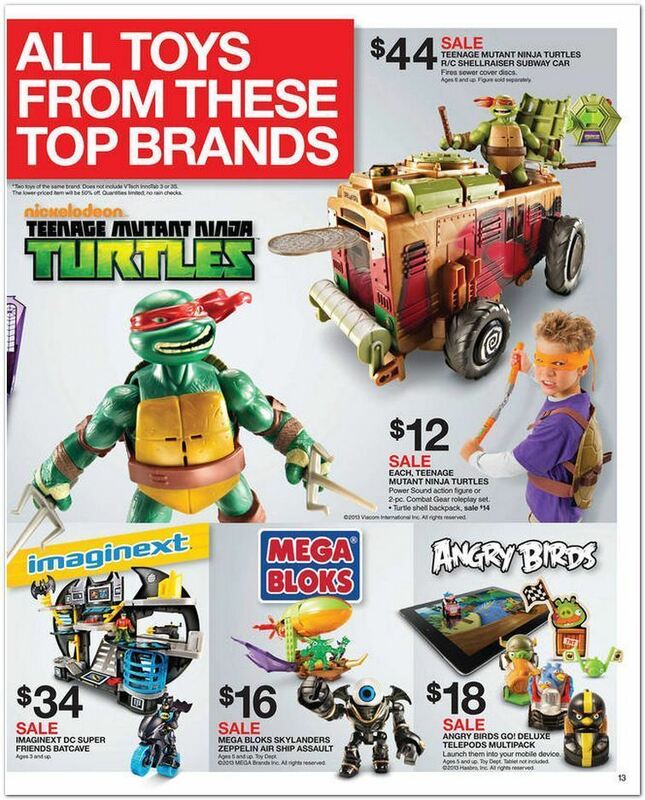 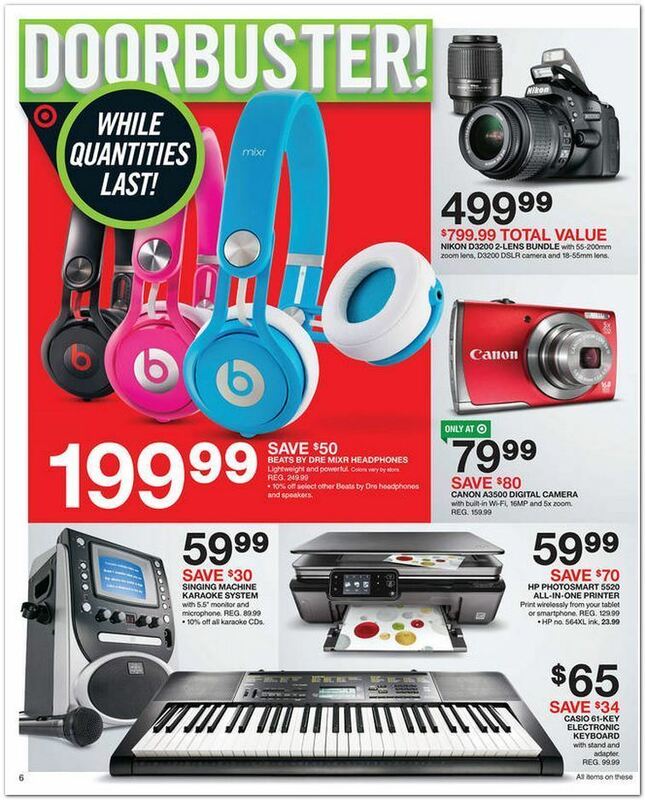 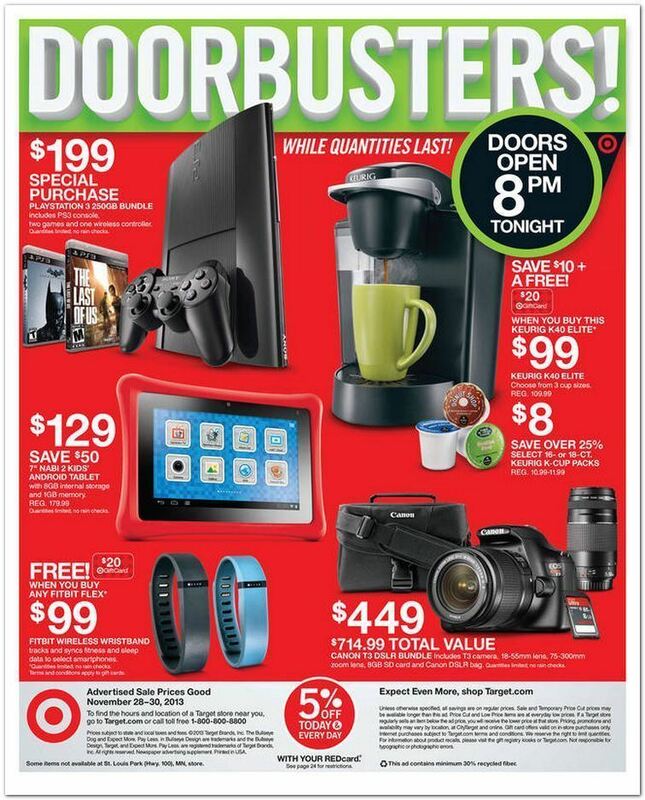 The Target Black Friday 2013 Ad has huge deals on electronics, apparel, toys and more. 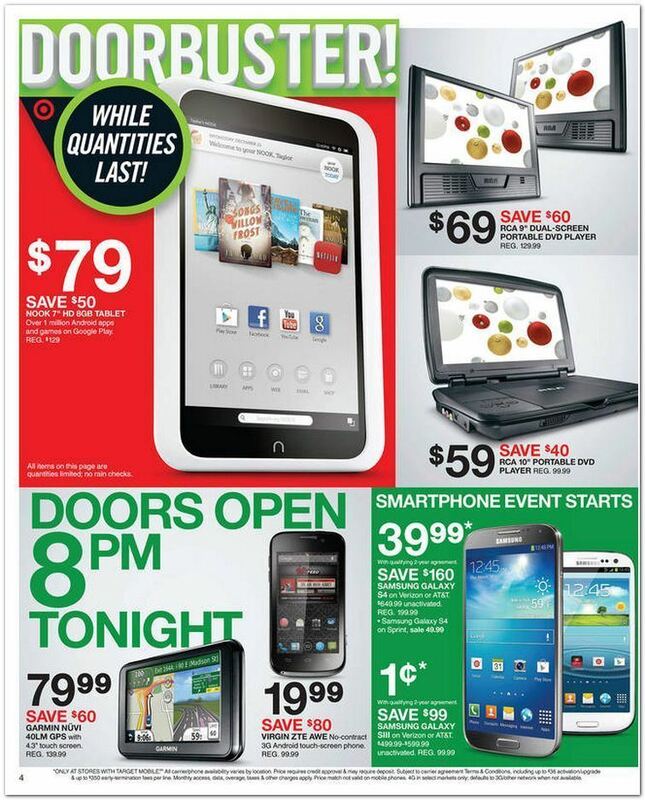 Doors will open at 8pm on Thanksgiving night. 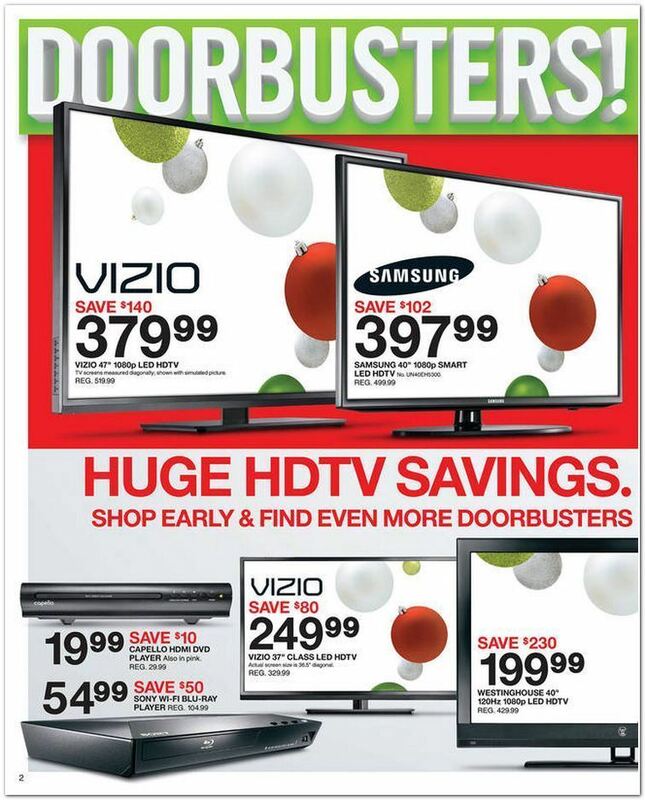 Many deals will be available online Thursday on Thanksgiving Day at 9pm Eastern time. 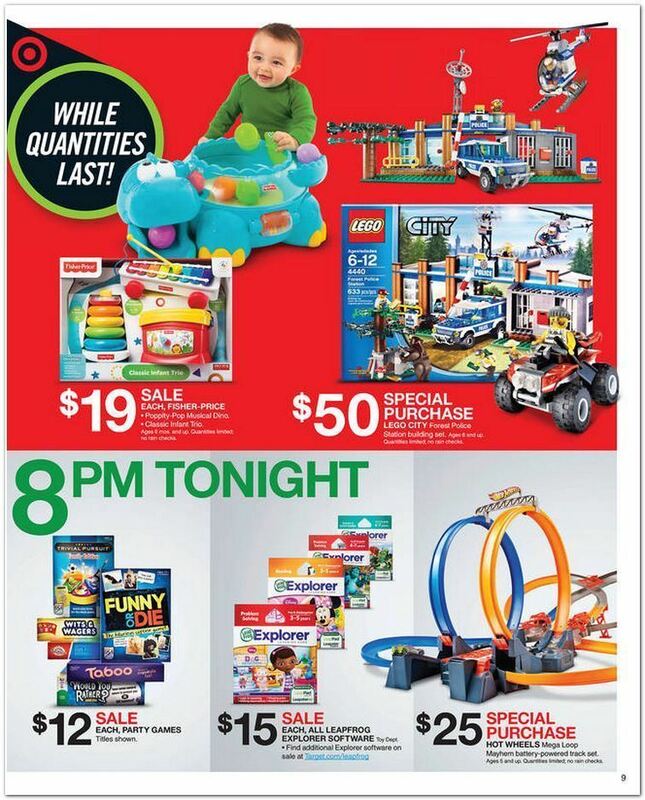 Free shipping for online purchases. 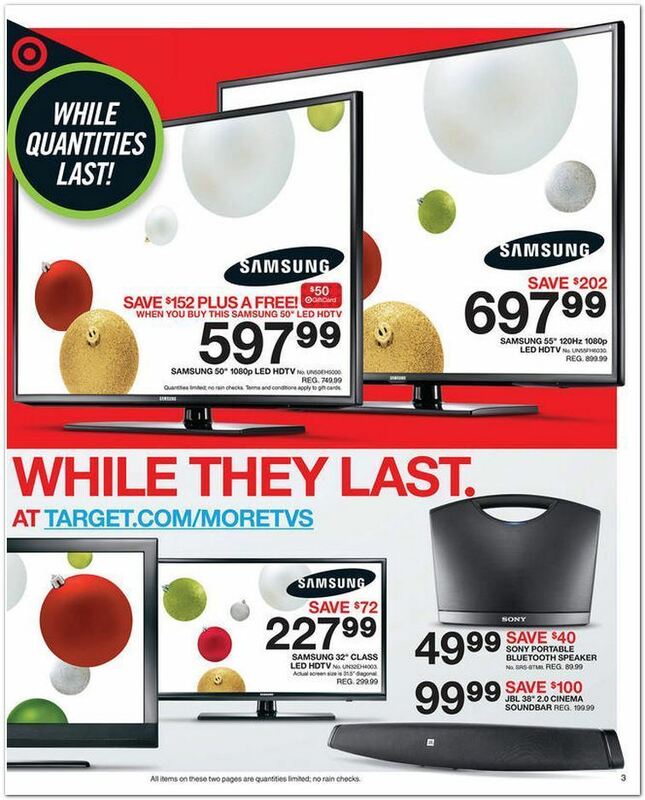 $229 Element 50″ 1080p 60Hz LED HDTV, $99 Nikon L320 16MP Camera w/ 26x Zoom, save $60 on Beats by Dre Solo HD Headphones, $379.99 Vizio 47″ 1080p LED HDTV, $99.99 JBL 38-in. 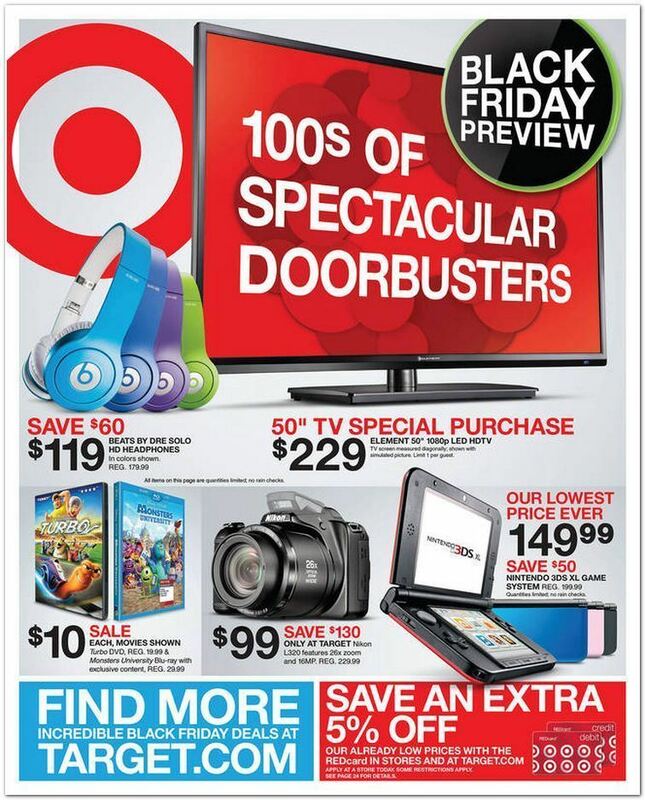 2.0 Cinema Soundbar, $59 RCA 10″ Portable DVD Player, $39.99 Samsung Galaxy S4 Smartphone, $19.99 Virgin ZTE Awe Smartphone, $479 iPad Air 16GB w/ WiFi + Free $100 Target Gift Card. 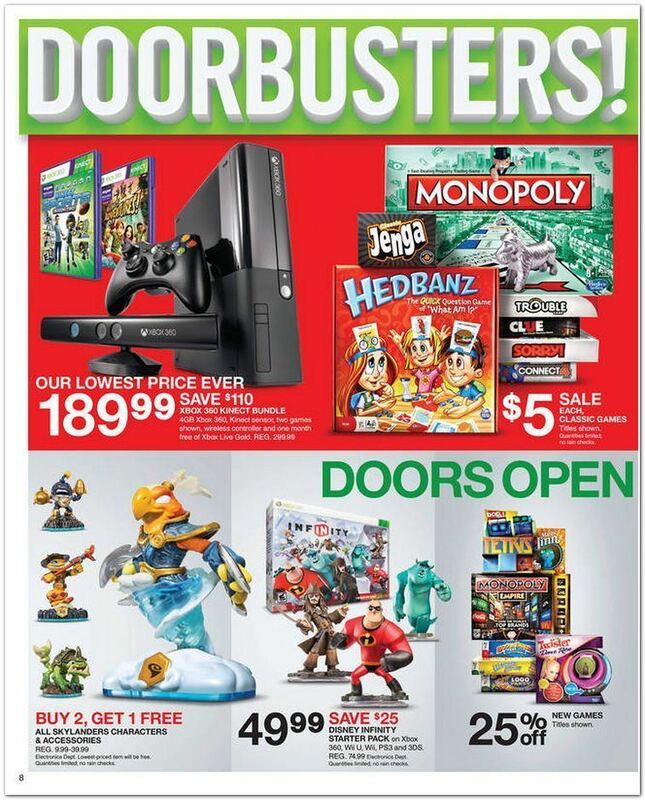 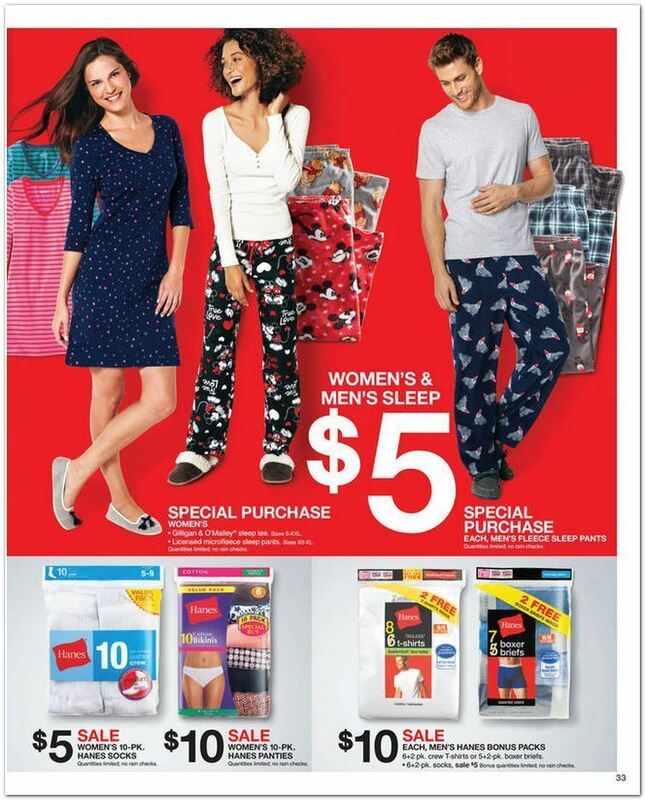 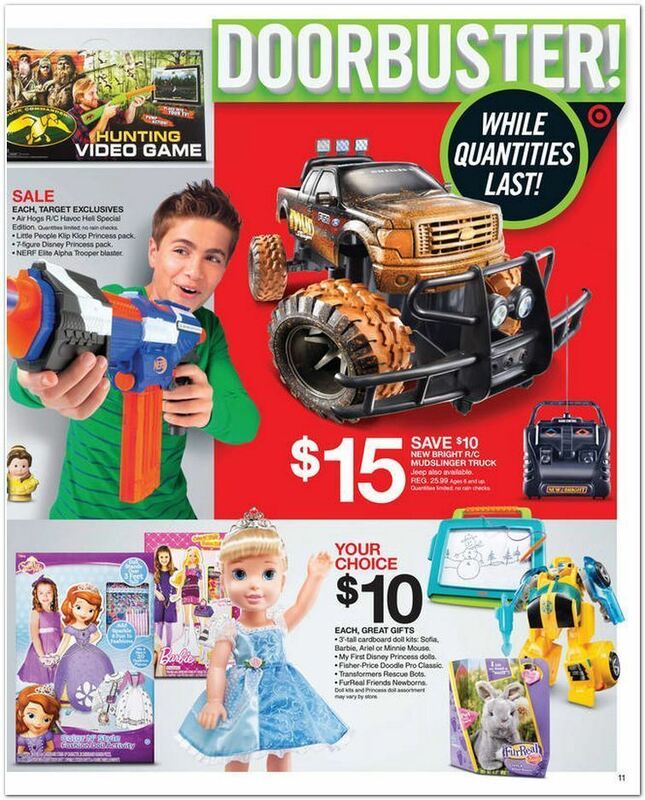 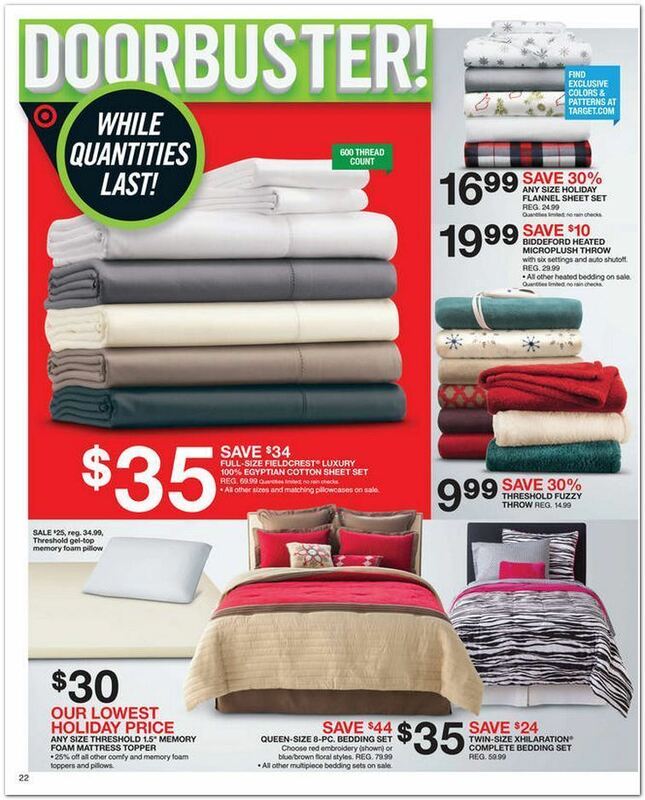 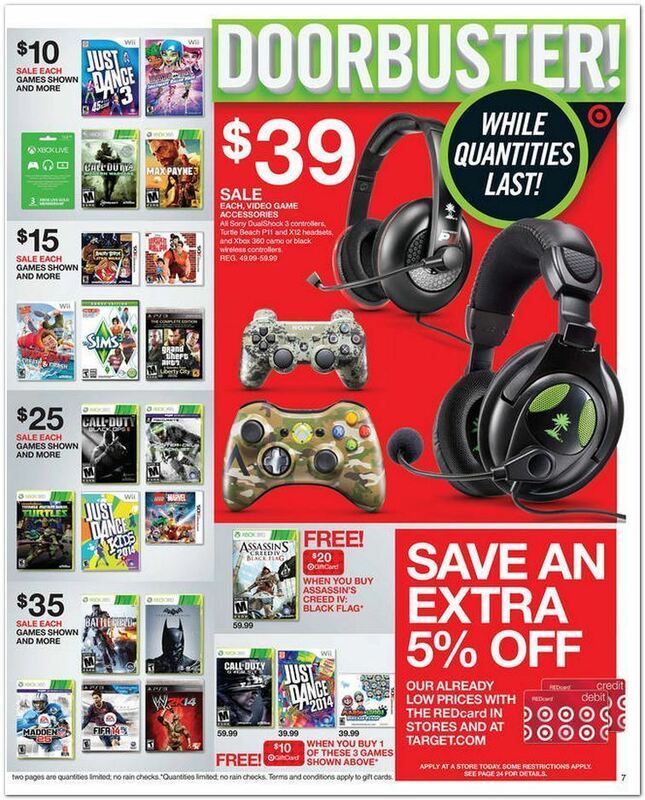 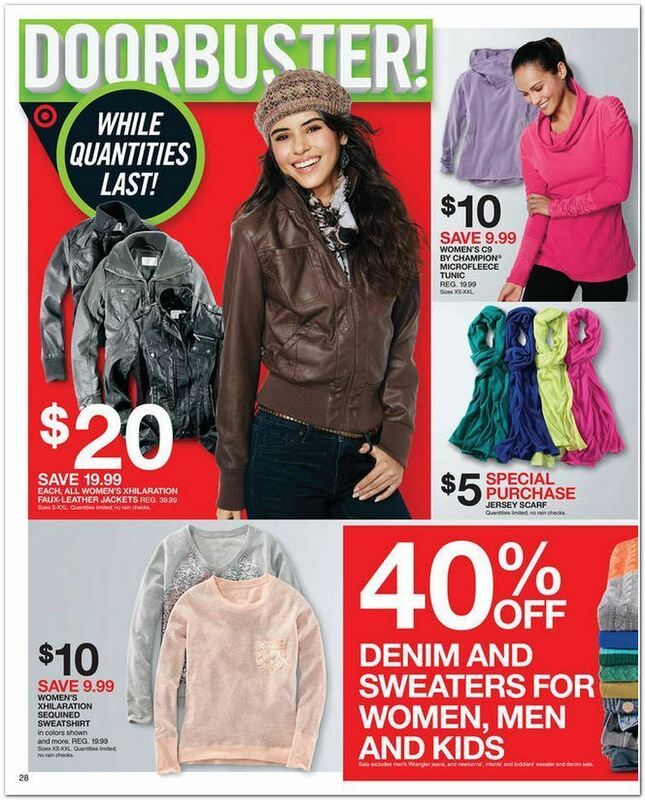 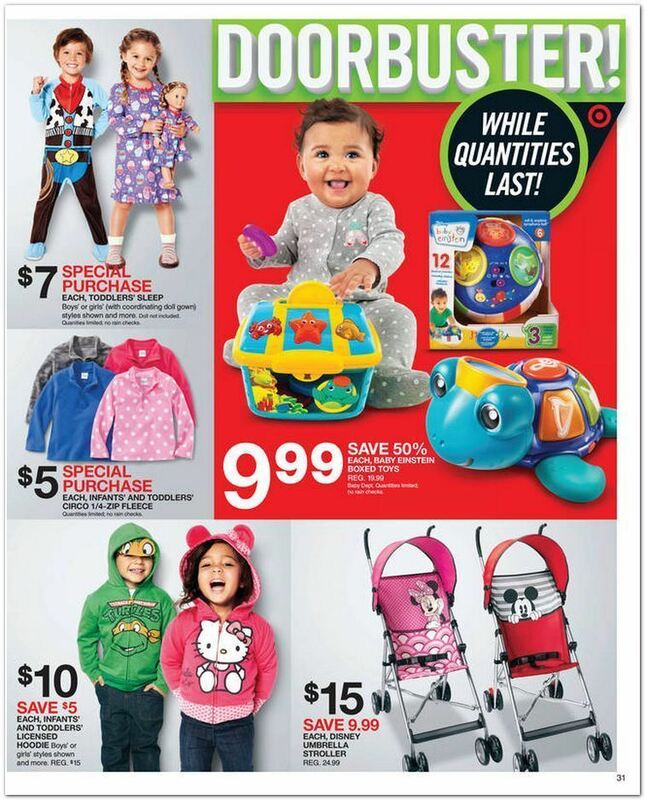 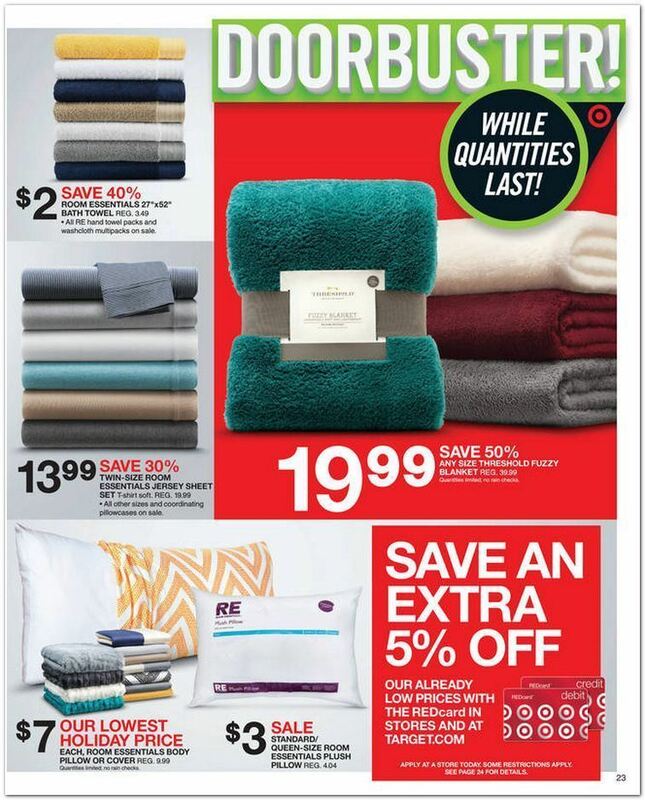 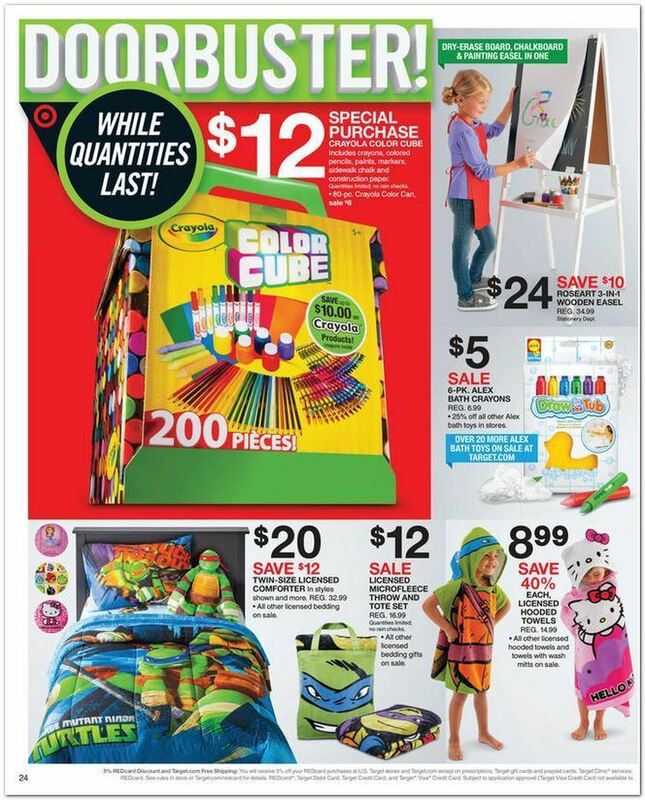 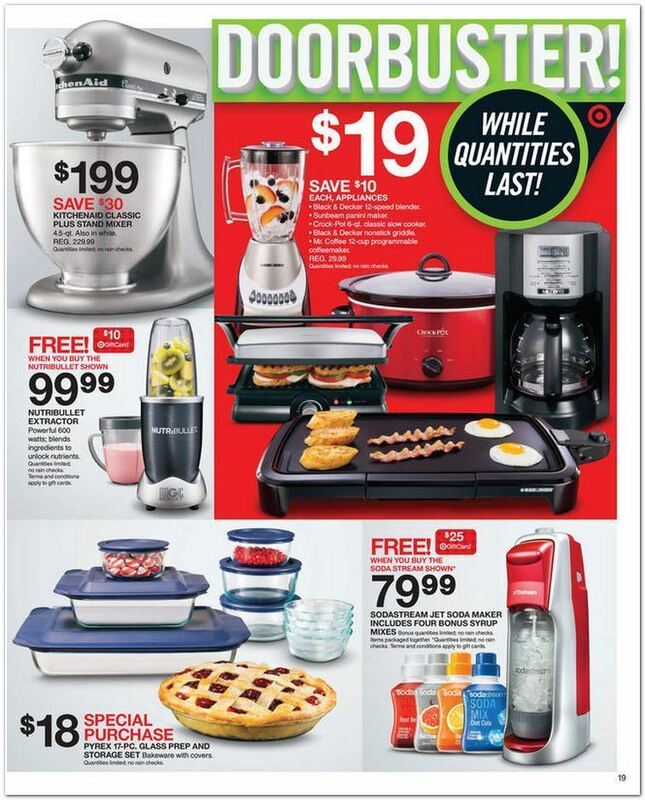 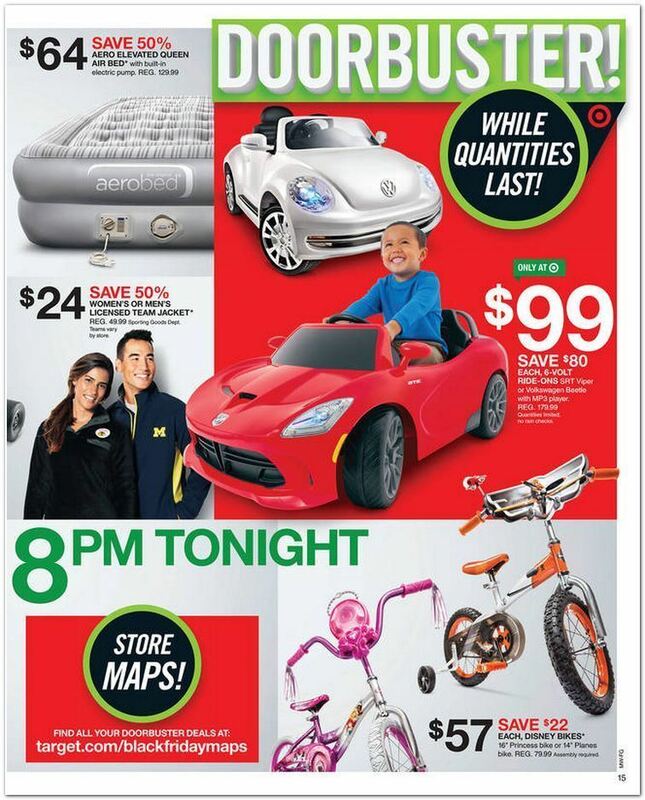 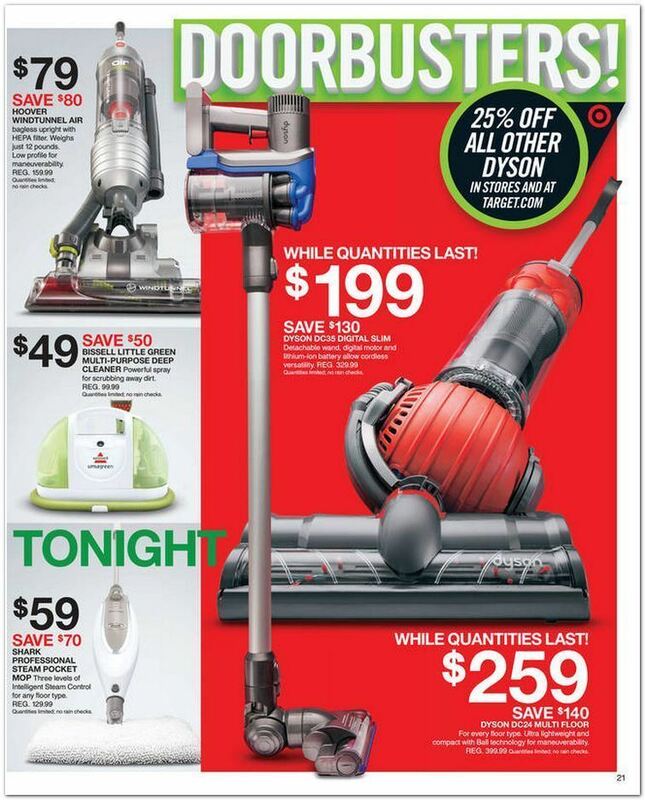 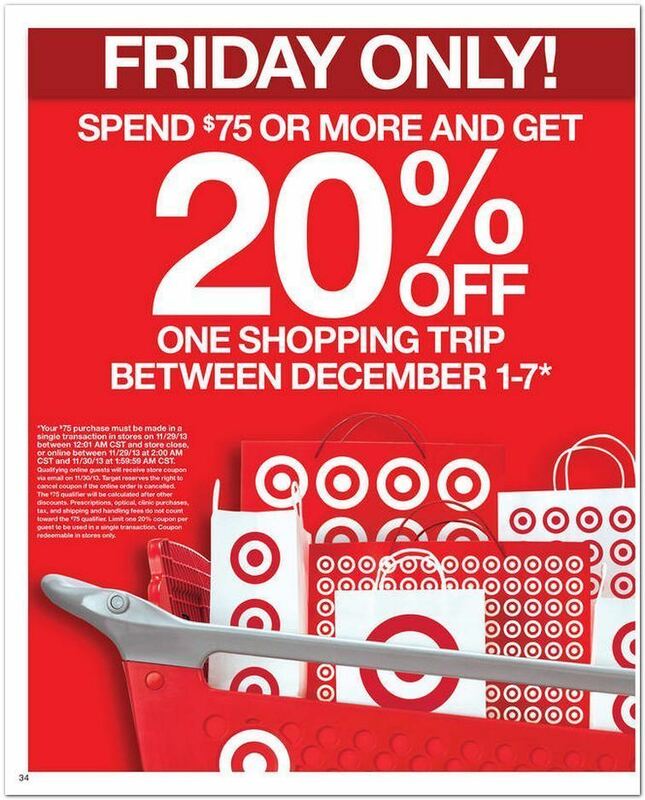 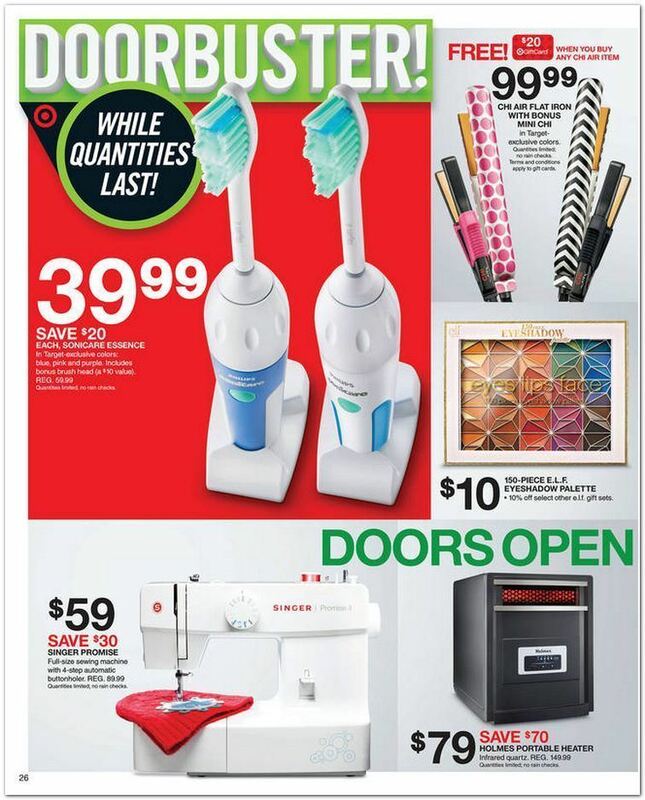 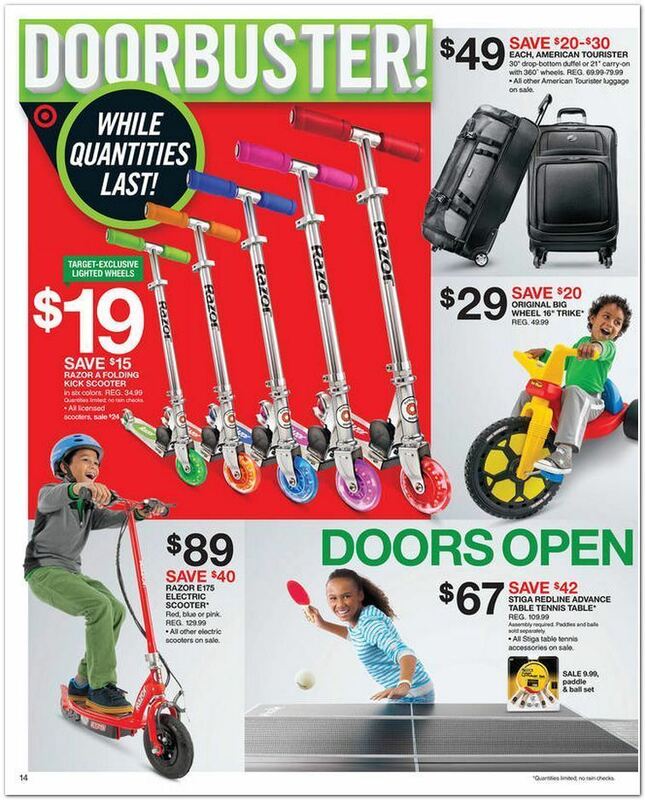 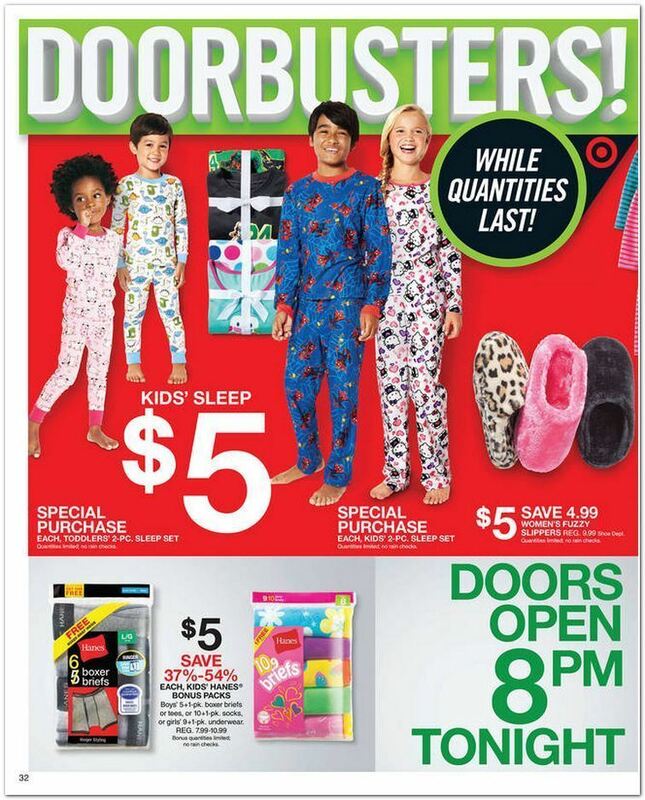 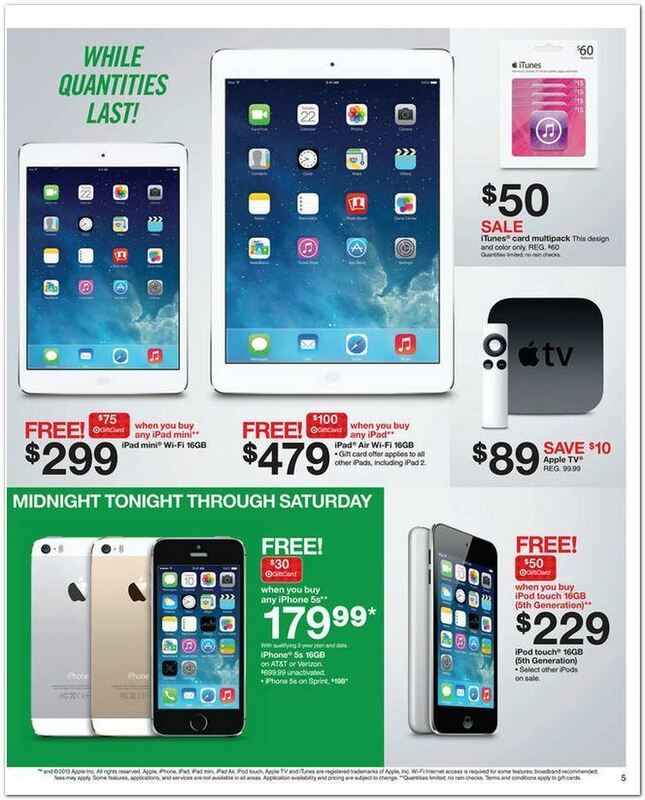 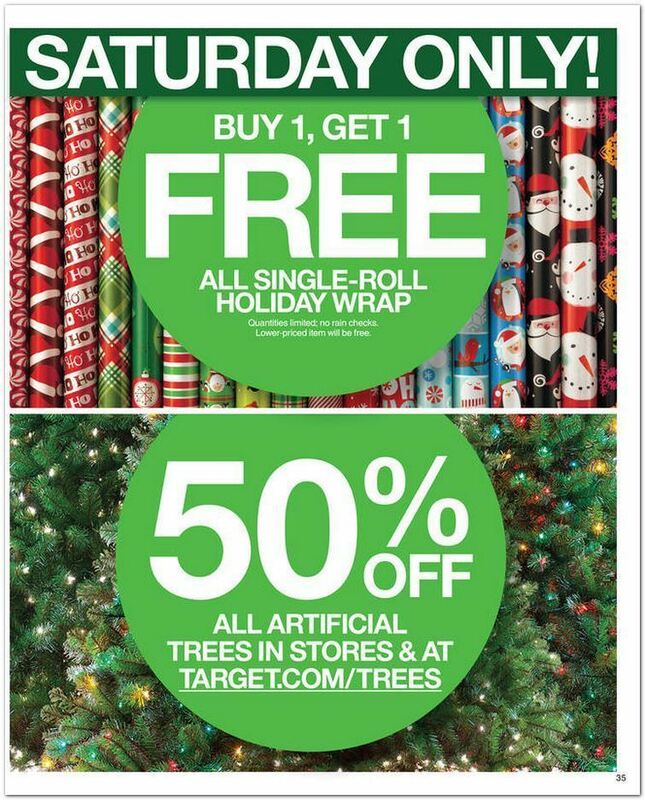 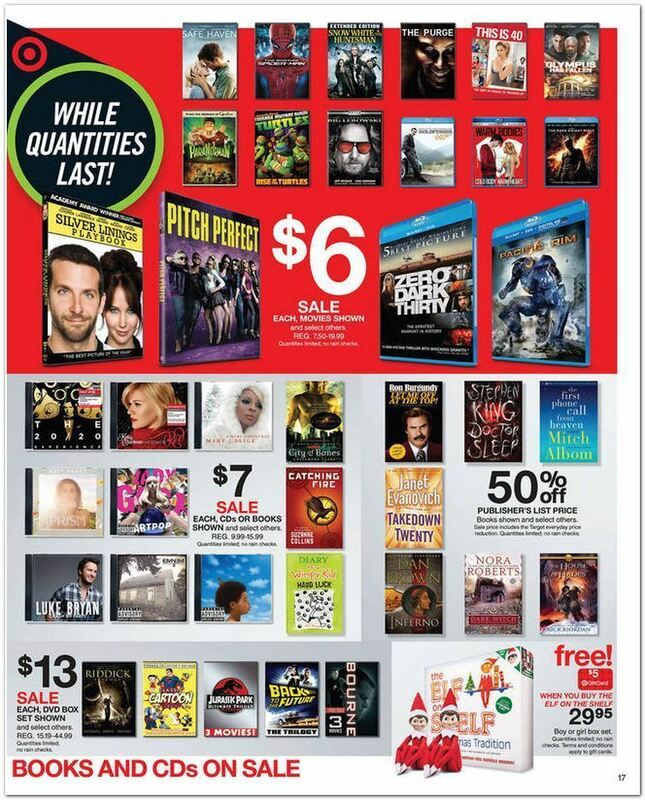 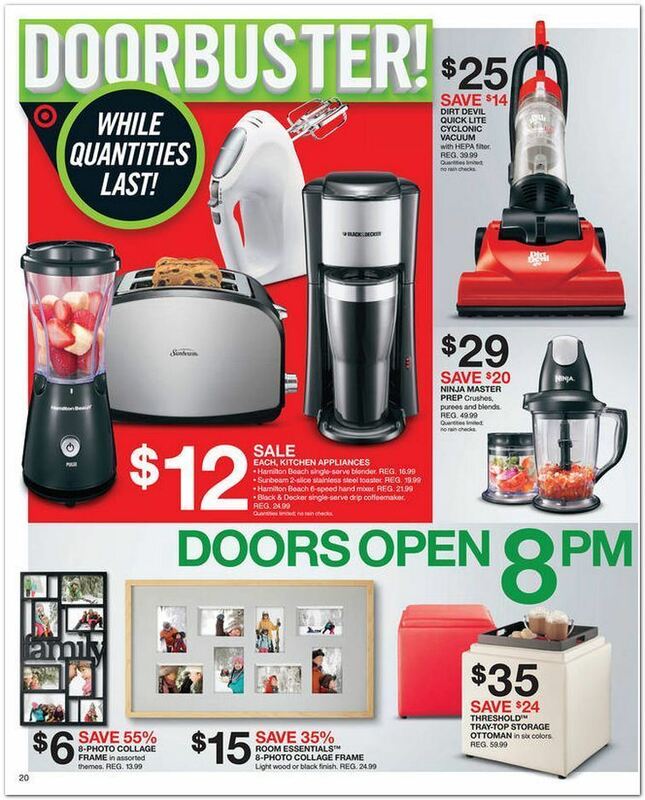 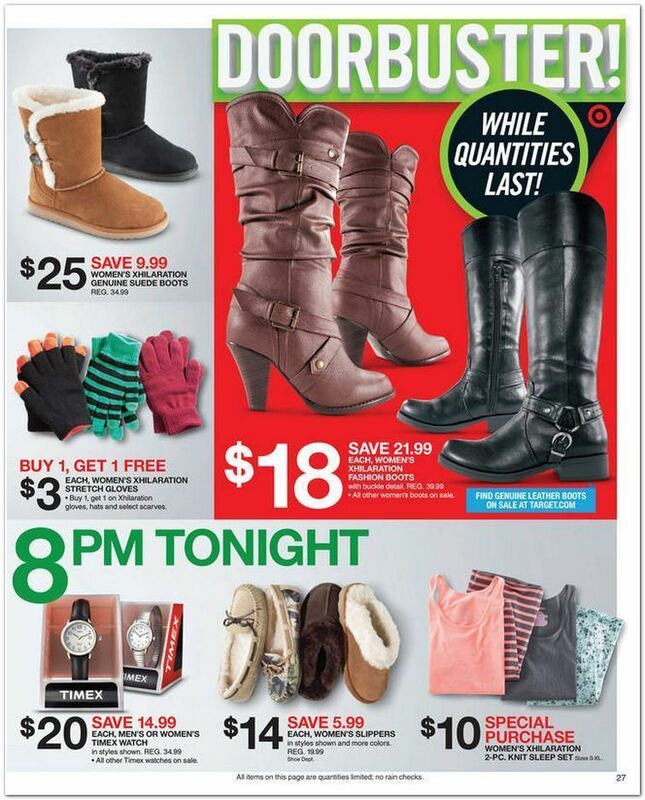 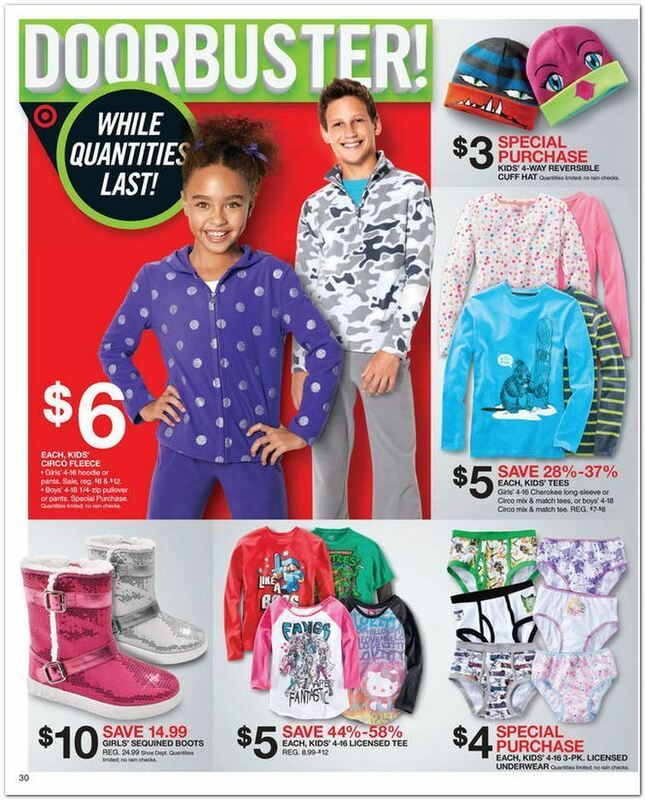 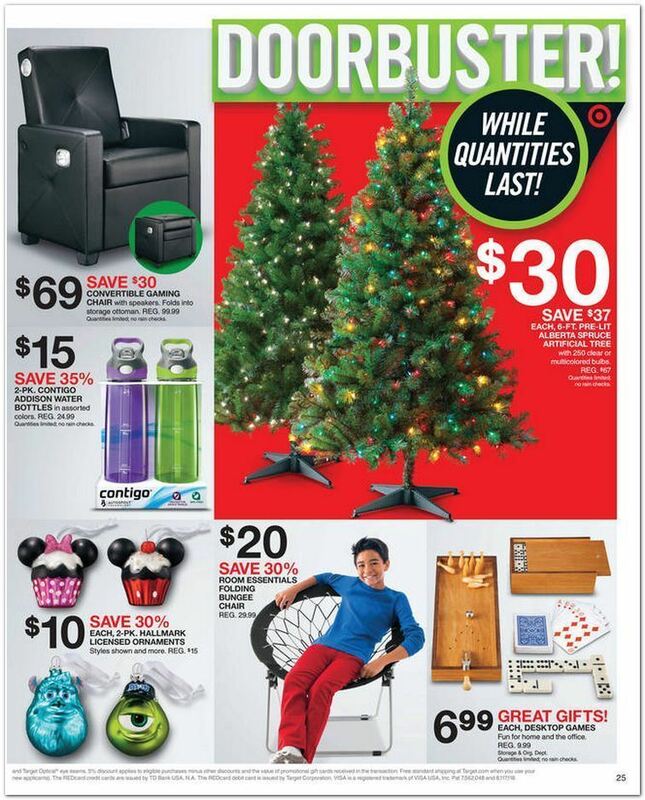 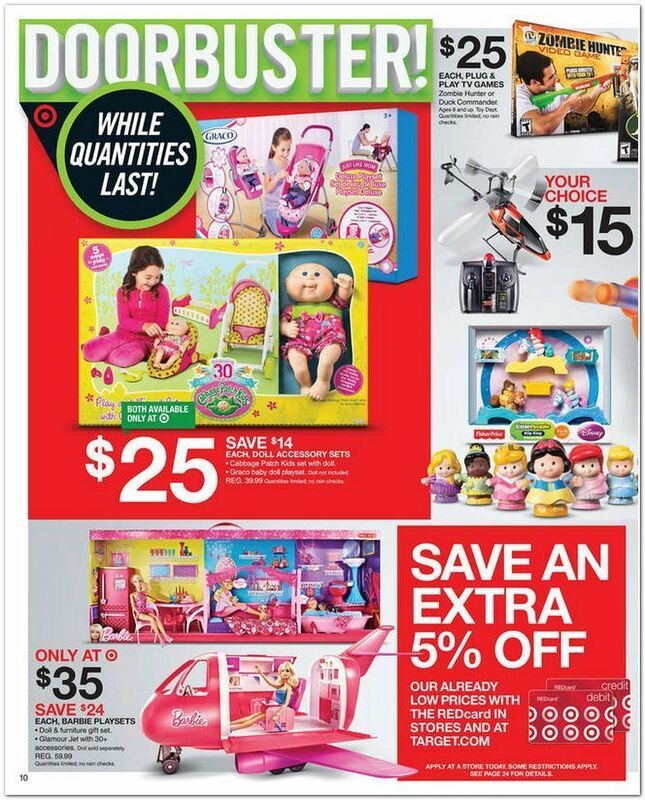 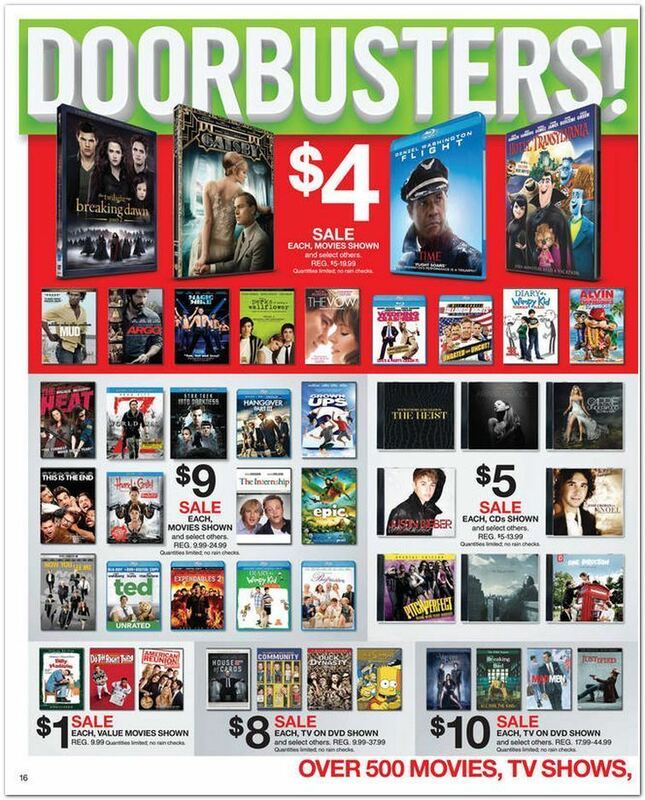 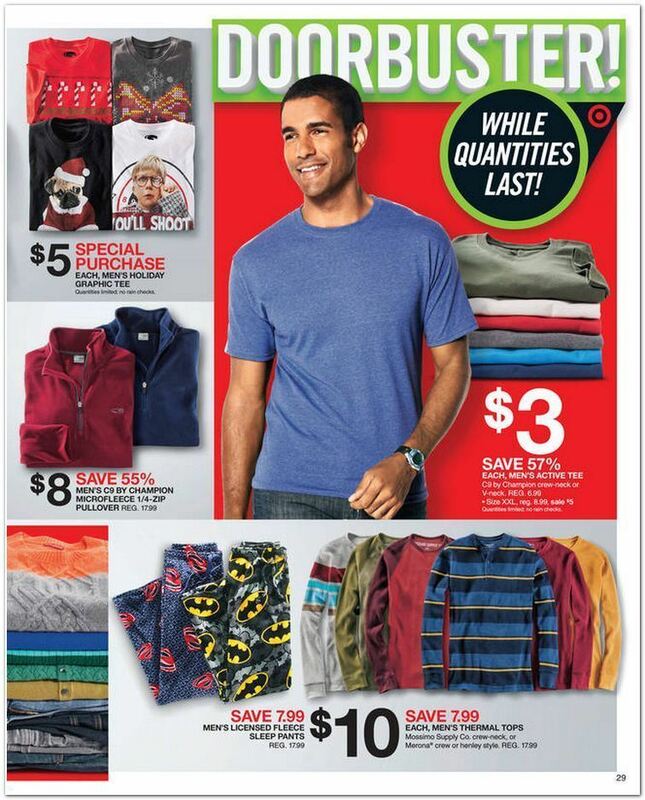 Check out Target Black Friday 2013 Ad. 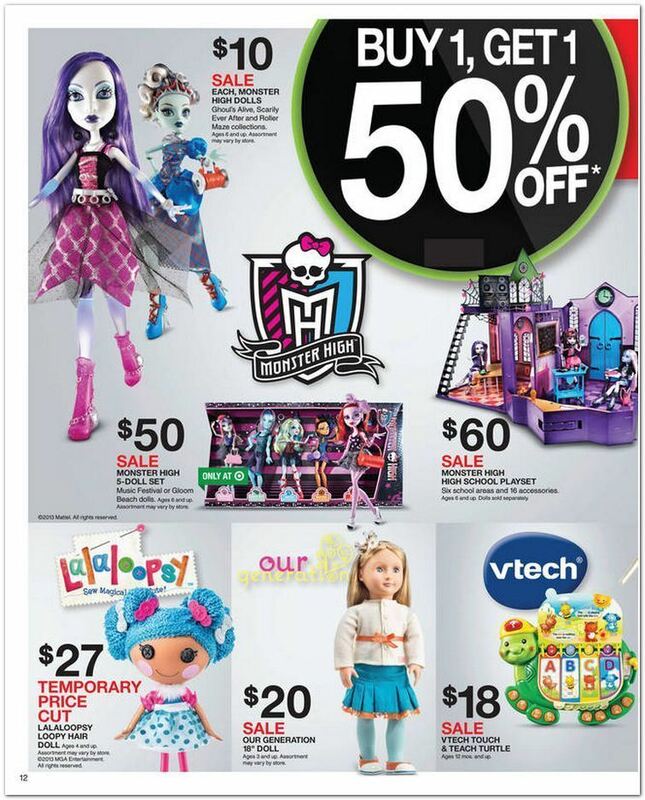 Some items and prices may not be available in all stores. 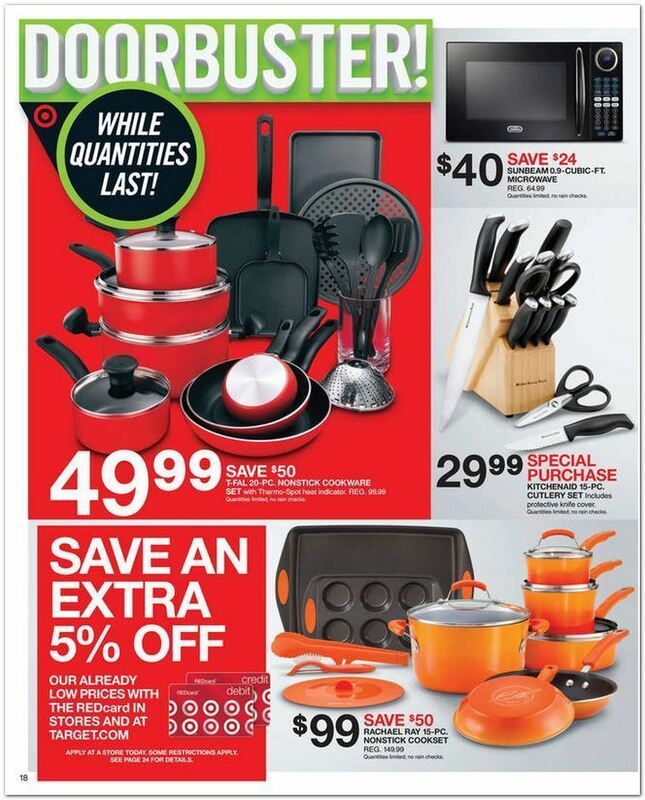 Check out best online deals.